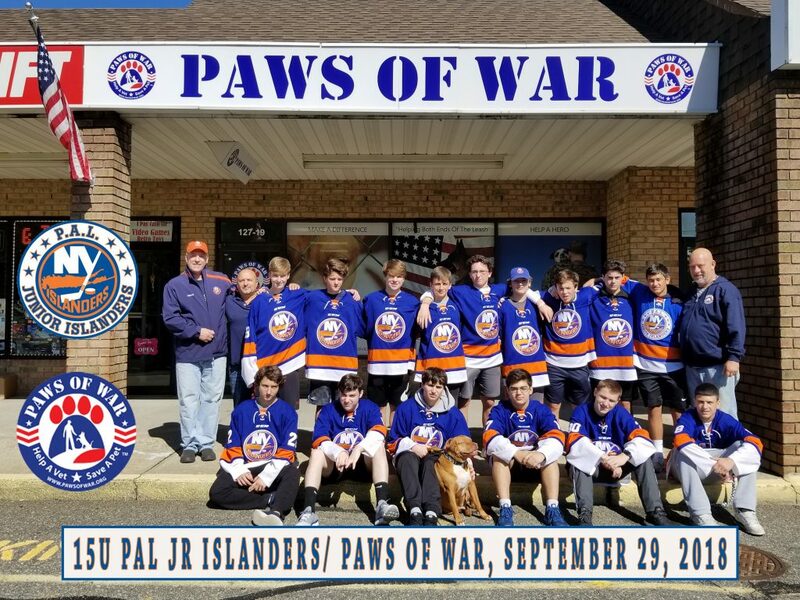 Our 15U PAL JR ISLANDERS volunteered there time this year with Paws of War organization. On September 29, 2018 they worked with PAWS OF WAR to move their offices to a brand new location. Paws of War train and place shelter dogs to serve and provide independence to our US military veterans that suffer from the emotional effects of war. In turn, each veteran can experience the therapeutic and unconditional love only a companion animal can bring. There is no cost to a Veteran for the service dogs we raise, train and place.